Expertly crafted from premium solid teak, the sleek Mendocino chaise is a handsome addition to any poolside. The chaise adjusts to four positions using a durable stainless steel swing arm. 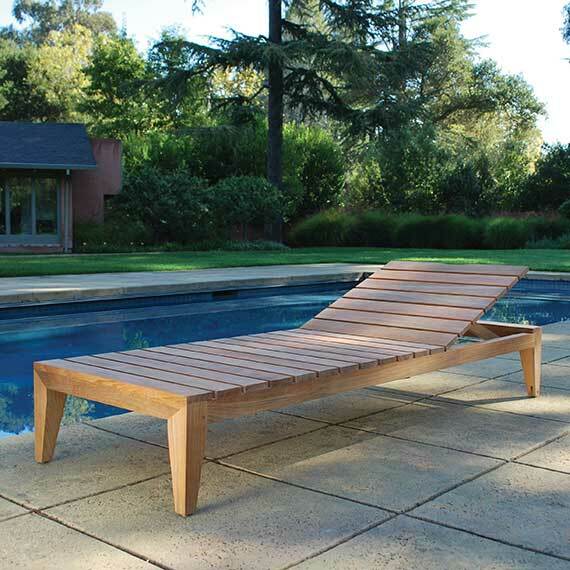 When laying flat the chaise can also be used as a stunning bench. Discreet wheels allow for easy movement. Cushion/fabric options available.